Top Row1 Modules - Class "shadow"
This is an example of a module published to the top_row_1 row. This row contains 6 modules, read below for a full description. This particular module has the module class "shadow" applied to it, which can be applied to most module positions except for the center columns, ie: left, right, etc. This is an example of a module published to the top_row_2 row. This module is using the class "-white" which can be used on any dark background. This row contains 6 modules, read below for a full description. This is an example of a module published to the top_row_3 row, it is shown using the class suffix -white_large. This row contains 6 modules, read below for a full description. This is the "dark" module style and can be applied to most module positions. Be sure to include a space before the suffix. This is the "gray" module style and can be applied to most module positions. Be sure to include a space before the suffix. This is the "highlight1" module style and can be applied to most module positions. Be sure to include a space before the suffix. This is the "highlight2" module style and can be applied to most module positions. Be sure to include a space before the suffix. 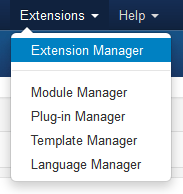 This is the "larger_title" module style and can be applied to most module positions. Be sure to include a space before the suffix. This is the "outlined" module style and can be applied to most module positions. Be sure to include a space before the suffix. This is the "highlight1_border " module style and can be applied to most module positions. Be sure to include a space before the suffix. This is the "highlight2_border " module style and can be applied to most module positions. Be sure to include a space before the suffix. This is the -none module style and can be applied to most module positions.